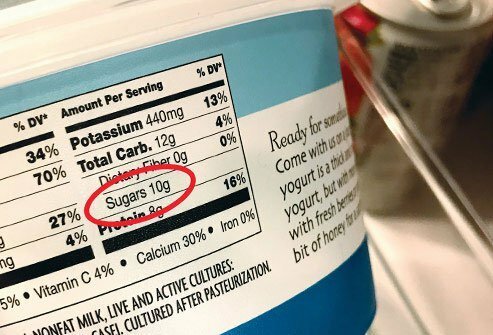 Diet and Weight Loss: Which Has More Sugar? 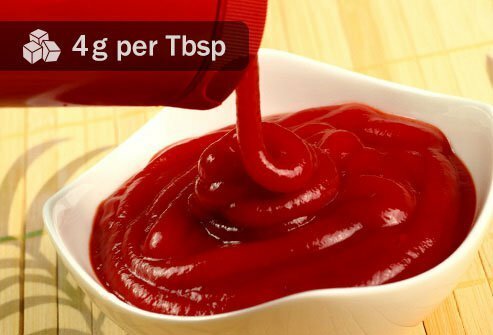 Mustard has only a tiny amount of sugar (.14 grams). 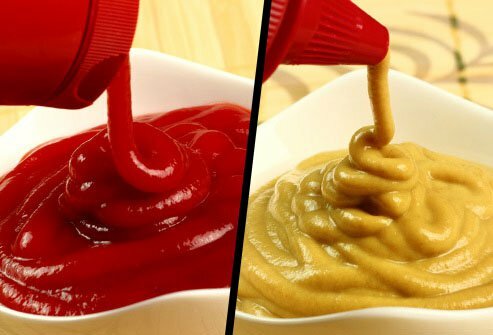 So if you're on the fence about whether to put ketchup or mustard on your hot dog, this might help you decide. 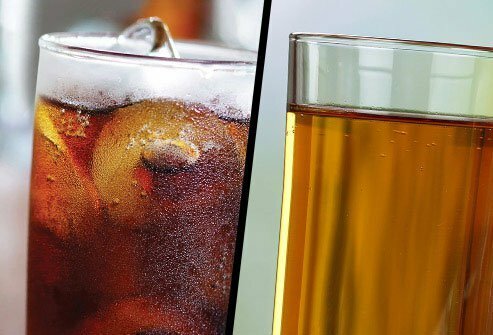 Soft Drink or Bottled Apple Juice? 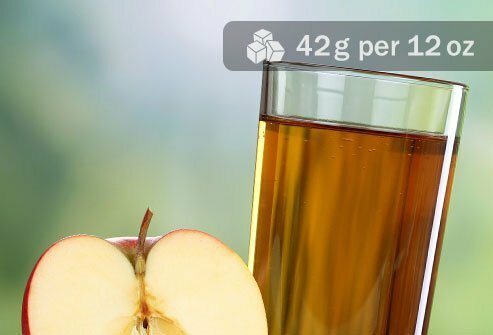 There are 42 grams of sugar in a 12-ounce serving, compared with 39 for a typical soft drink. But the sugar in soda is added -- not from a natural source like apples. If you crave that apple goodness, have a splash of juice with sparkling water and a squeeze of lime. Or better yet, eat an apple: A medium-sized one has lots of fiber and nutrients and 18 grams of natural sugar. 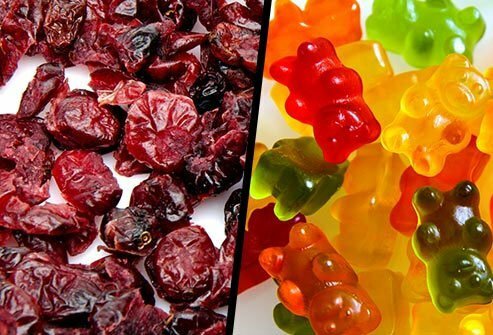 Dried Cranberries or Gummy Bears? Surprise! 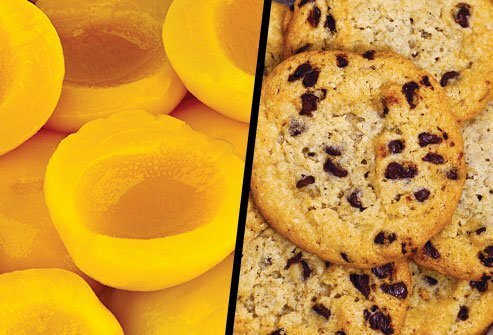 This dried fruit has 50% more sugar than the same amount of gummy bears. 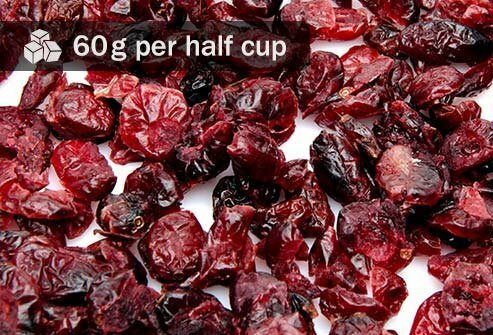 But before you make gummies your new go-to snack, know this: Cranberries -- and other dried fruit -- pack far more nutritional value and fiber into each bite. 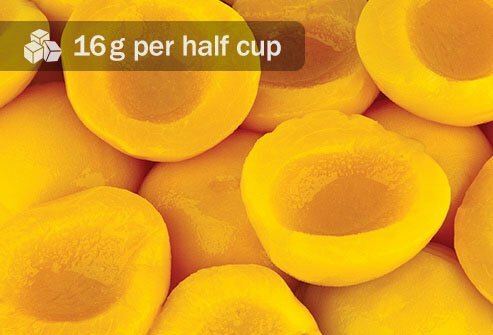 And the gummy bears have more total calories per serving. 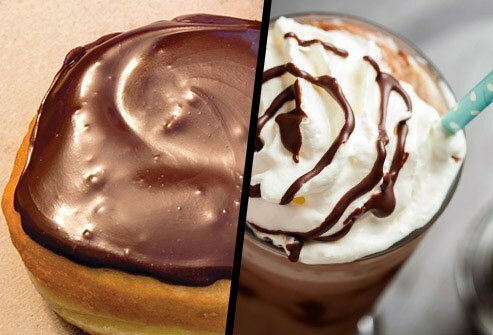 Boston Cream Doughnut or Mocha Frappuccino? 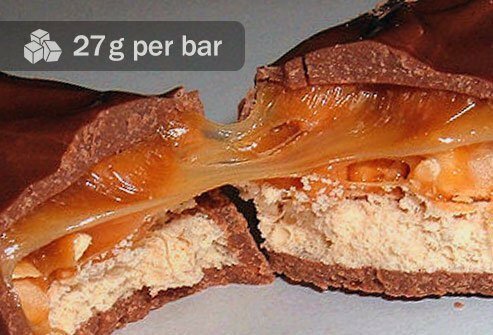 If you really have to decide, this has more than 3 times the sugar than an indulgent, chocolate-covered cream-filled doughnut. You're better off with a plain cup of coffee and a square or two of dark chocolate -- you'll get your caffeine fix and satisfy your sweet tooth without too much sugar or too many calories. 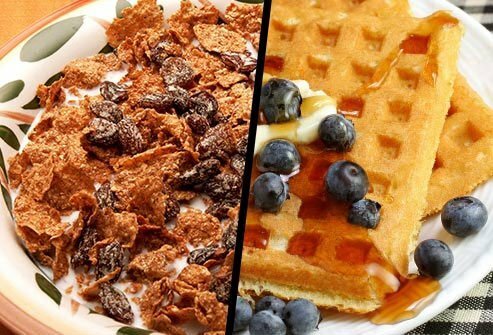 Raisin Bran or Blueberry Waffle? 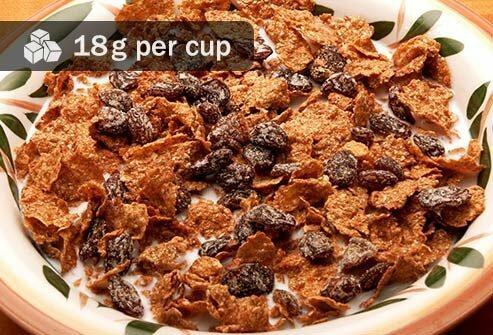 Compare the 18 grams in a cup of this cereal to 3 grams of sugar in a blueberry waffle -- 15 with a tablespoon of maple syrup. But keep in mind that some of the sugar in the cereal comes from naturally sweet raisins. This has almost 3 times the amount in a cup of strawberries, and almost triple the calories. 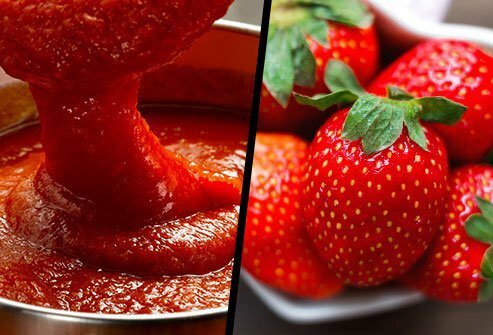 But you can't put strawberries on your pasta. 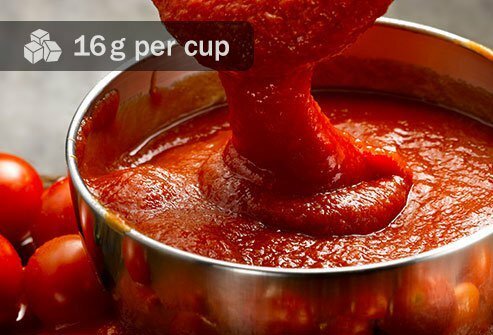 Instead, make your own sauce with fresh tomatoes or canned, crushed tomatoes -- you'll know exactly what's in it. 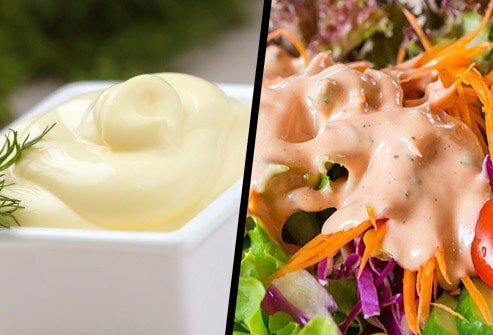 Mayonnaise or Creamy Salad Dressing? 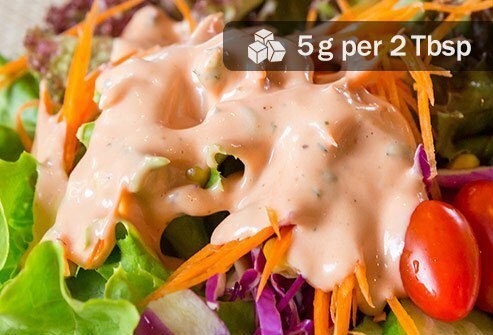 Mayonnaise has no sugar, but it does have lots of calories -- around double the typical salad dressing. So pick carefully -- or opt for a light sprinkling of oil, vinegar, and sea salt instead. 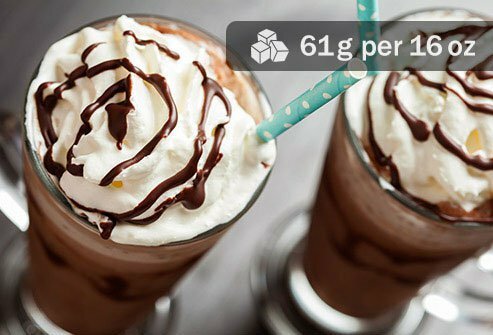 A single serving (in light syrup) has about 16 grams of sugar, compared with about 11 grams in 3 chocolate chip cookies. But fruit is good for you. Try fresh fruit if you want to keep the sugar to a minimum -- and add fiber and nutrients to your diet. 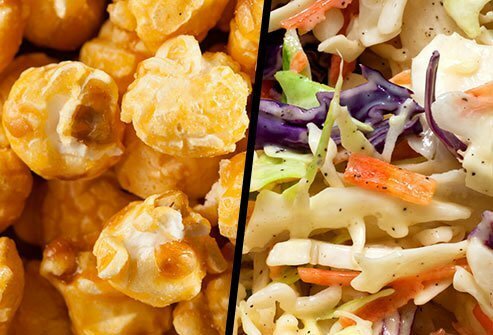 Caramel Corn or Prepackaged Cole Slaw? Some brands have as much as 13 grams of sugar per half-cup -- caramel corn has half that. 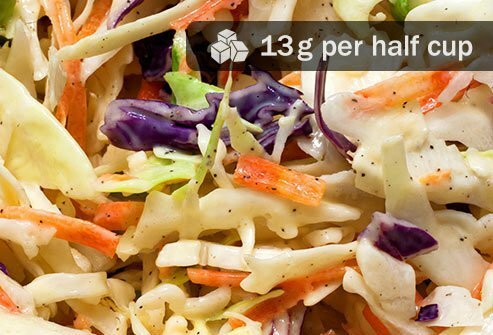 If you make the slaw yourself, you'll have a better idea of what's in it. 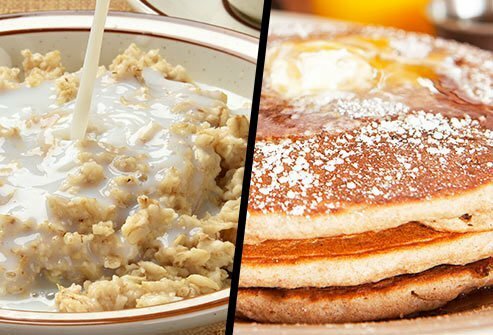 Three 4-inch pancakes have just 5 grams, while a serving of the "apples and cinnamon" variety of instant oatmeal has more than double that. 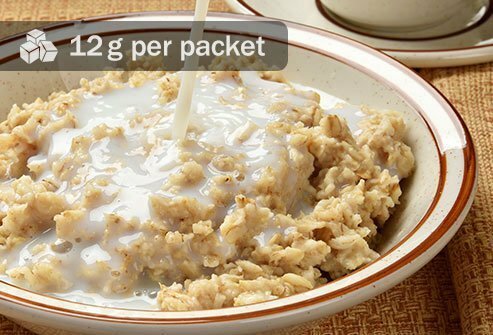 Of course, that's before you pour syrup on your pancakes -- a tablespoon could add 12 grams. 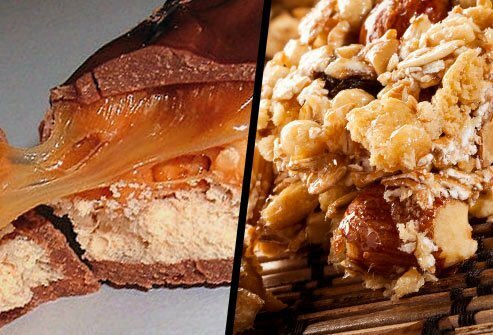 There's plenty of sugar in both, but a regular-size bar with chocolate, nuts, and caramel has about double the sugar of a typical granola bar per gram. Look for one with plenty of protein, whole grains, and nuts -- that combination helps your body absorb calories slowly and better satisfies your hunger.